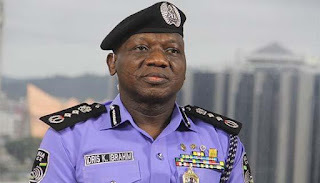 Against the backdrop of the no-confidence vote passed on the Inspector-General of Police, Ibrahim Idris, by the Nigerian Senate, the police in Kano and Kogi states have passed a vote of confidence on Idris’ leadership of the Force. Recall that the upper legislative chamber on Wednesday declared that Idris was not fit to hold public office, and called him an enemy of democracy. Reacting, the Kano State Commissioner of Police, Rabi’u Yusuf said that no amount of campaign of calumny and intimidation will deter the IGP from discharging his statutory duties. “Kano State police command wishes to reiterate our unalloyed loyalty to President Muhammadu Buhari and IGP. We pledged our total confidence and support to the Inspector-General of Police,” he said.The commissioner disclosed that the IGP would be in Kano today to commission a sophisticated tracking machine installed to checkmate activities of criminals in the state. In a statement in Lokoja yesterday, Janga called on Nigerians to support the vision of the IGP, even as he cautioned against politicising issues of policing especially now that the security forces are working hard to address security challenges bedevilling the country.